John Carmo Rodrigues is well-known for his tonic wines and has received much coverage for his work in this area. Nonetheless there is far more to the man than his home made wine. This resident of Chinchinim has found his way into philanthropy and yoga, and offered ageless wisdom as we sat down to a spread of bebinca, carrot cake, spring rolls, patties and coffee laid out by his lovely wife. In his eighties now, John begins the tale of his journey with a promising start. ‘I was very naughty when I was small, so my father, who was a pharmacist in Bombay, took me there when I was seven,’ he says. He spent his formative years getting an education from St Xaviers’s College (Mumbai). He used to come to Goa on holidays and at sixteen years of age he came across a jamun tree near his house that was weighed down with fruit. It seemed a shame to waste the fruit and he experimented with turning the jamun into a wine, which was easy since the fruit has a natural yeast. This was his first attempt at wine-making and was much appreciated by those that had partaken of it. From then on John was more confined to his education and put the idea of wine-making behind him. In 1956 he was held back in Goa as the Portuguese sealed Goa’s borders. He resided at his grandparents’ house and was soon admonished by his uncle to stop wasting his time in idleness. He therefore joined the Escola Medico Cirurgica da Goa, today’s Goa Medical College. But the establishment got wind of his association with the Goa liberation movement in Mumbai and this made him a persona non grata. Aside from this, he was unhappy with the way the education system worked, where viva voce was the flavour of the day and the faculty was open to gifts that might ensure students better marks. When he got his chance he returned to Mumbai to continue his academic route with microbiology. He gives an example of a German man with agonising psoriasis at Leela’s. The man’s wife asked John to help her husband. The man, though initially unwilling, finally gave in and John applied the technique of past life regression. Travelling back to the time before his conception, to his conception and then his birth, the German man revealed that his parents had not been married and his father was violent towards his mother and had left her after his birth. John believes that the man’s skin ailment was rooted in the stress he had experienced during those specific times in his life. The German man, however, did not remember telling John any of this after coming out of his trance, but presumably left with a better understanding of what ailed him. John believes that much of our afflictions are caused by stress and therefore treating them requires finding the core cause of the problem. It could be the other way around that the physical problem may be causing stress and psychological trauma. Yoga and meditation are a potent means of prevention and even a cure in many cases. John’s wine-making was urged on by the friends he made while consulting for Leela’s. There was a knight in the French Army as well as a member of royalty who encouraged him. He went on to create wines from herbs, roots, spices, leaves, and fruit. He points to a hibiscus wine and says, ‘Did you know that the hibiscus is called the Shoe Flower because it was used to polish shoes?’. 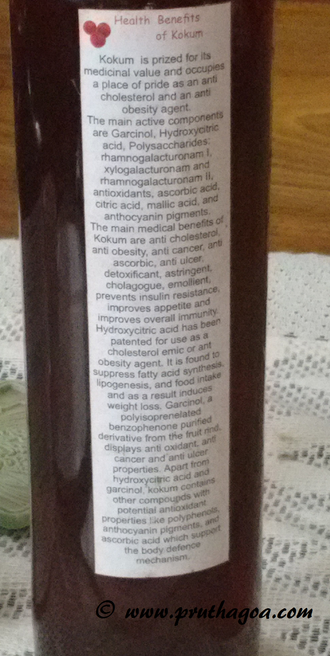 This information, apart from its other benefits such as regulating metabolism and protecting the liver, are obtained from his own research which he indicates (internet sources) on the bottles of wine and vinegar that he produces. It is once again his holistic approach to treatment that generated the passion to find out the medicinal properties of various plants and harness the goodness for the health of individuals. 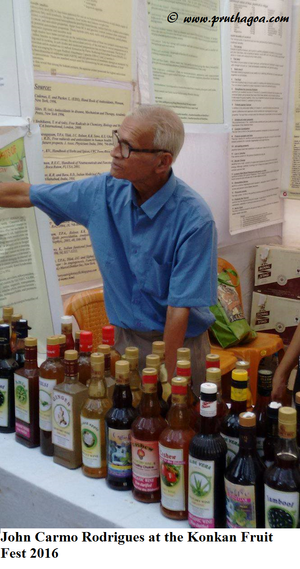 He has produced wines from cashews, jamuns, soursop, ginger, etc. 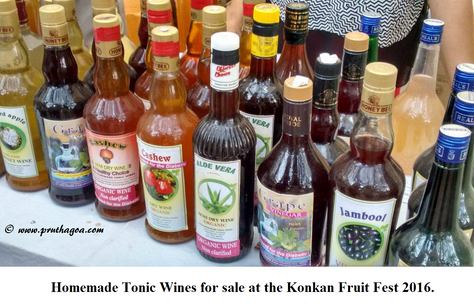 He sells his wine and vinegar under the banner of Homemade Tonic Wines. The Organic World Conference at South Korea in 2011 won his Kokum wine the Best Wine in the World title as adjudged by a panel of judges which did not include a single Indian. The presentation of how the wine was made was done by Miguel Braganza. He has also received a letter of appreciation from the former Governor of Goa S C Jamir for his medicinal wine. Now John’s concentration is more on vinegar since he says many illnesses arise from the body not being cleared of toxins. This is because we tend to eat processed foods that contribute to all sorts of problems. When our digestive tract is not clear it can contribute to other health issues. The consumption of vinegar allows for a balance of acid in the stomach and hence reduces the incidence of health related problems. Apart from all his other achievements, the wine-maker has written books such as Energy Healing: The New Paradigm. The octogenarian has reams of wisdom to impart in his golden years and a visit with him is an infinitely enriching experience. Address: Casa Lourdes, 2nd Palvem, Chinchinim, Goa- 403715.